If you have discovered termites on your property, the best thing to do is not to disturb them any further. Disturbing termites can force them into hiding making them even more difficult to eradicate. The best thing to do if you find them is to let them be and call us. It is much easier to eliminate them if you know exactly where they are, and even through you fear they could damage your property further, it is still best to leave them. Once you call, we will arrange for a time to visit and set your mind at ease. Annual termite inspections are crucial, especially if you have had termites previously, or are in a high risk area Your property is an investment, and termite infestations are expensive to repair. Annual termite inspections should be on every homeowners “to do” list. Your annual termite inspection will include inspection of your home or business and surrounding property for termite activity and termite damage. Inspections also check surrounding areas for any signs that termite attacks are likely. Although the inspection itself does not stop termite attacks, they do allow us to set in place preventative measures to ensure your property remains safe against termites. 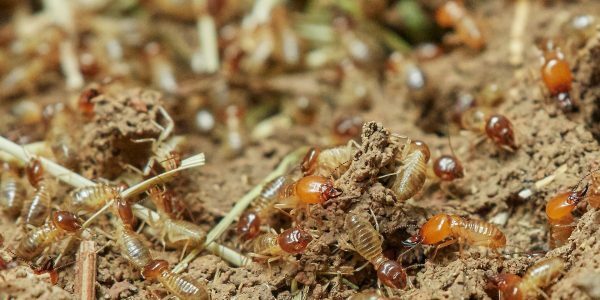 If you dont already have a termite management system in place to protect your property, our Termite Specialists will provide options for the installing of appropriate anti-termite systems to protect your home or commercial property. Go Pest Termite management systems are the best way to protect your home from termites. Our termite management plans reduce the chances of a termite infestation on your property. If you have active termites on your property, the first step of the termite management plan is to eliminate active termites from the property. We use a range of advanced techniques to achieve this, by using foam, dust or liquids depending on the species present and where they are located. Once the termites have been treated the next step is to install a termite management plan to prevent further infestations. One vital thing to know about termites is that even though they may not be visible, they could still be around or inside your property lying in wait to attack. This is why it is so important to have a proper management system around the perimeter of the building.